I can celebrate. I got all my customers quilts done for Christmas, just this past hour. Now I can work on my gifts. 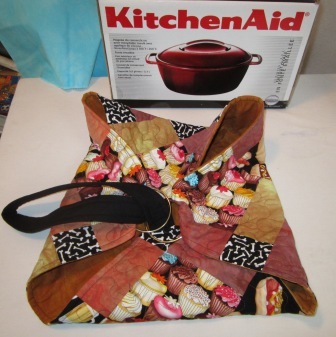 This is a dutch oven and quilted cover to take to a pot luck party. I made this one for a dog trial prize draw early this month. I have one more to finish for a family gift. I am laughing, I got my sister in law's name this year and wanted to give her this, bought the pot early, on sale. Well then she sent her list out and guess what was top of her list. A dutch oven, so I did well. 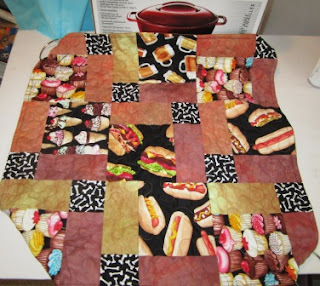 I used some disappearing nine patch blocks using some food fabric. Did you notice the bones? My way of getting dog related fabric in. I will show you how I did the disappearing nine patch on Friday. I am still working on what I need to say so I get it correct. looks great Cathy. She will be delighted. What a clever casserole cover. 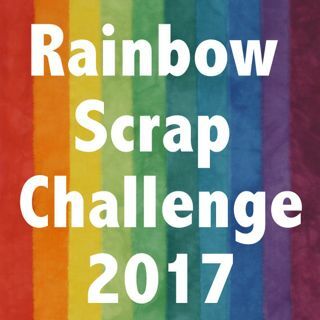 I've been thinking of making one for a gift. Yours looks so handy.